Meatopia, the festival of all things meaty and barbecued, returns to Tobacco Dock from Friday 1st to Sunday 3rd September. This year the stellar line-up of chefs includes Nathan Outlaw, Yotam Ottolenghi, Richard H Turner, Jose Pizarro, Selin Kiazim, Nud Dudhia from Breddos and lots more. Saturday is sold out already, but you can still get tickets for Friday and Sunday, costing £22.50 - £30. Go! 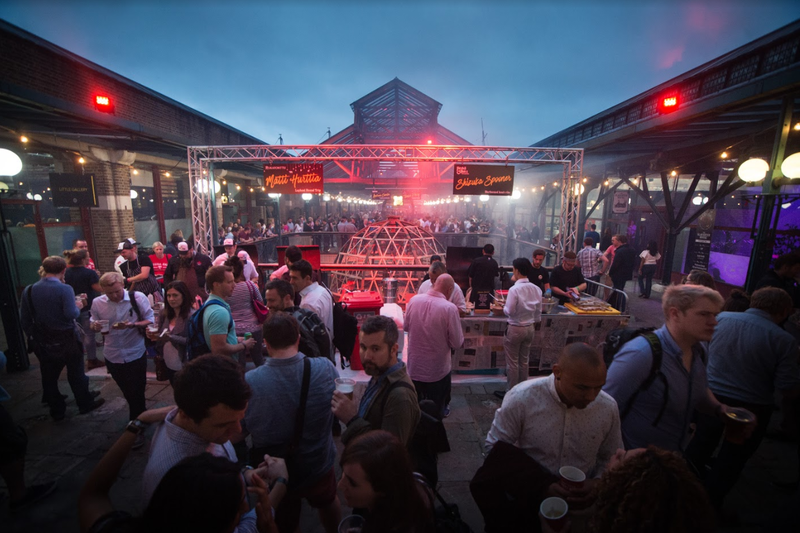 "Meatopia is a the three-day celebration of meat and fire hosted by world renowned culinary talent, top restaurants and your favourite food brands. Returning to Tobacco Dock, London on 1st-3rd September, there’s much more going on than just the finest cuts of quality meat, although, admittedly that is the top draw... Take a break from your carnivorous escapades and enjoy live music, DJs, informal workshops, street theatre and chef talks, then get straight back to the meat. Returning for a second year, BIG GREEN EGG will be presenting a brand new series of tasting sessions where, in the spirit of Meatopia and expanding your culinary horizons, a limited number of people will get the chance to try a variety delicious dishes, created and cooked up by the BGE team and some of their A list chef friends. TABASCO will be collaborating with Elizabeth Haigh, ahead of the launch of her hotly-anticipated refined BBQ restaurant, Shibui. The innovative chef will be creating a sensational twist on a classic Lao dish with the signature kick of TABASCO Sauce. Also, learn how TABASCO Sauce is made and visit Avery Island Louisiana without even leaving Tobacco Dock at the TABASCO pepper mash tasting experience. Just a heads up, the pepper mash is 10 times hotter than the final sauce. Happy tasting! Meatopia friends FRONTIER are being welcomed back once again with their award winning new-wave craft lager. Find them on the quayside serving up the perfect pints to pair with Meatopia dishes. McGUIGAN WINES will be back and offering another superb range of award winning wines including the very special McGuigan Black Label Malbec. And look out for our pals SOUTHERN COMFORT and BUFFALO TRACE who will be back again, creating bespoke cocktails from their whiskey bar, paired with great music and whiskey masterclasses across the weekend."